For having the sign with the worst name in all of astrology, only a Cancer will understand that being born under the astrological sign with the same name as a scary disease kind of suits us. Cancerians do have an awful lot of fears and anxieties anyway, so hearing our sign’s name all over the news in connection with the latest developments in chemotherapy is pretty on par for how Cancer feels a lot of the time. If scared-anxious-worried-frustrated was a word, it might sum up Cancer’s generally shellfish worldview. 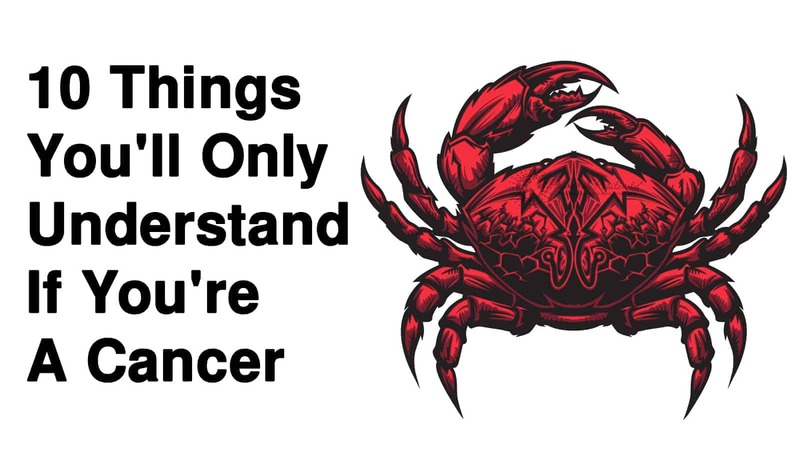 Let’s look at 10 other things that you’ll only understand if you’re a Cancer. 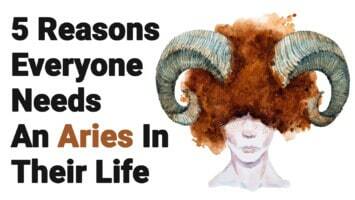 The research on how we use zodiac love sign compatibility to choose a mate seems to point to astrology being most useful for knowing oneself and also for finding someone who has a compatible personality. Researchers find a general lack of significant data to show that either marriage or divorce is affected by choosing a partner with a compatible or incompatible zodiac sign, but there is a slight difference for marriage success. 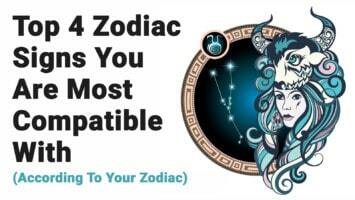 Cancer’s most compatible partner matches are Taurus, Virgo, Scorpio, and Cancer. People who clearly do not understand your sign often accuse Cancerians of being crabby, but you just don’t see yourself that way. You might make frequent suggestions that people do things differently, but you’re not nitpicking or micromanaging, you just know how to do it better and are trying to show them. As a water sign, with the Moon as your ruling celestial body, Cancer unfortunately has a whole lot of experience with the salt water of tears. It’s just because you are so emotional yourself, but also because you make such a good listener. Everyone else wants to pour out their hear to Cancer’s excellent ears. Cancer is a homebody, and if your friends aren’t, they have tried to drag you away to social gatherings several times but you resist with all the strength that you have in your sturdy claws. No thank you and do you even know Cancer? If Cancer has something to tell you, you will hear it now, but in a very passive-aggressive way. If they need something, they need it now. If they love something, they must share it with you now. Patience is not something you’ll understand if you’re a Cancer. If your friends would only catch you on a full moon Friday or Saturday night, you are much more likely to suggest a fun night out for just your three best friends. Well, maybe just your one friend to start out with. Only a Cancerian will understand that everything you said, how you said it, what you were wearing when you said it, and the look on your face is permanently burned on our brains and can be repeated back to you. The crab can hang on to a grudge like it’s the shell they carry around with them. Cancerians are emotional, and mostly have negative emotions like anxiety, frustration, and disappointment. Cancer will hold on to the hurt of a breakup for a long time, but they also have so much love to give and are excellent at maintaining a long-term relationship. The love that Cancer has for their few close friends and family is the bond that holds their fragile shell together, which is something you’ll only understand if you’re a Cancer. You are so loyal to your friends that you’ll only understand that the friend-selection process can be daunting for a Cancer. There’s the initial gut feeling meeting, then the sizing you up part of the process, over-analyzing your every inflection and gesture, computing your trustworthiness factor and, of course, your lifetime of behavior to consider. This may take a while. 9. Are you the only one working around here? Only Cancer will understand that sometimes being such a motivated, hard-worker means that everyone else looks like a slacker by comparison. Unfortunately for Cancer, you feel resentful that others don’t step up like you do. Cancer will give and give because they love being generous. But you may not ever borrow our own personal stuff because it was carefully selected especially for our very particular needs. Touch it and die, but let me buy you lunch instead.